CENTRAL CITY--- Bobby Lynn Key, 80, of Central City died Friday, October 17, 2014 at his residence. Mr. Key was born in Murray, KY on September 29, 1934. Mr. Key was a graduate of Murray State University with a Master of Arts in Education degree. He was a veteran of the United States Army, attended Southern Seminary for two years, a Kentucky Colonel, a Gideon, a school teacher for 38 years, retired from Muhlenberg County School System, and was a recipient of the Warrick County Indiana School System Outstanding Young Educator Award. Mr. Key was a member and deacon at the 1st Baptist Church in Central City. 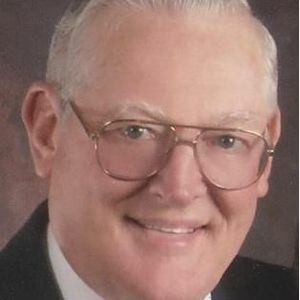 He also served as Minister of Music for Island Baptist Church, Island KY, Bethlehem Baptist Church, Bremen, KY, 1st Baptist Church of Boonville, IN, and Bethel Baptist Church of Niles, MI. Mr. Key is preceded in death by his parents, Albert and Queenie Key, and brothers, Rev. Bonell Key and James Max Key. Survivors include his wife, Patricia Batsel Key; sons, Philip Key of Louisville, Paul (Chris) Key of Murray, Robert (Rebecca) Key of Murray; daughter, DeAnna (Dwayne) Smith of Fordsville; grandchildren, Kristen Key, Elise Key, Cassandra Key, Preston Key, Kameryn Key, Khloe Key, Ryker Key, Deline Key, Isaiah Smith. Funeral Services will be held on Wednesday, October 22, 2014 at 11:00 AM at Tucker Funeral Home in Central City with Rev.Hal Shipley officiating and Rev. David Key and Rev. Carson Bevil assisting. Burial will be in Rose Hill Cemetery in Central City. Visitation will be Tuesday, October 21, 2014 at 5:00 PM at the funeral home. 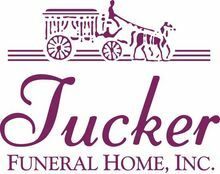 Online condolences can be made at Tucker Funeral Homes.com. Donations can be made to the Gideons International, envelopes available at the funeral home. Really a good teacher. I have alot if good memories of him and his class. We are so very sorry to hear of Uncle Bob's passing. Charlie wanted me to let you know that he always enjoyed being around Bob and appreciated his good sense of humor. Marty and I have fond memories of that Christmas we spent with you the family there in Kentucky. You both welcomed us with open arms! We love you and will be making a donation to Gideon's Internaiton in honor of Uncle Bob. We send our love and prayers! Bob will be truly missed. My thoughts and prayer are with you, Patty and the family. I have fond memories of Mr. Key. As a teacher he was the perfect balance of tough and kind, and he seemed to approach lessons with a little bit of a sense of humor. I know he will be greatly missed by his family and his community. Wishing you all peace at this time of sadness and loss. Sorry to hear of your loss. Please accept my sympathy. I'll be praying for your family as you say your goodbyes. I hate to hear this! Prayers for Patty and family!! I remember Bobby well as a classmate from Murray High. Visited with him when he was teaching in Boonville. Really nice guy. He will be missed. Mr. Key was a great man and a wonderful teacher. He is a part of my childhood memories. Rest assured his life was positive influence on many children. The Petiks are praying for your family.